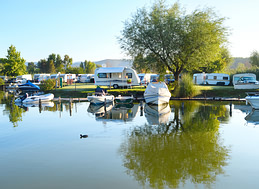 This guide provides a comprehensive overview of safe storage and use of drinking water, and disposal of wastewater, for owners of leisure boats and caravans. With reference to latest guidelines and regulations, this guide aims to bring all of the relevant information together in one easily accessible document. Following guidance in this report will help to ensure that leisure boat and caravan users meet their obligations to preserve clean water for everyone. The Guide contains 31 pages with references and sources of further information.